So, here we go. The final month and 2014 and the things I’ve been into this past month! 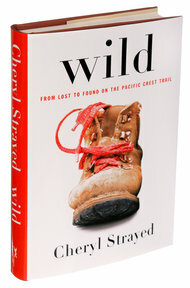 Wild by Cheryl Strayed – I bought this book for $6.15 on my tablet; a splurge purchase if there ever was one, I saw a portion of the trailer on TV and immediately wanted to read it. I’m so glad I clicked the buy button because this book was so fascinating – and while I haven’t dealt with any of the serious life struggles that Chery Strayed has dealt with, I do understand the feeling of being a bit lost and unsure about life. I don’t know that I’d necessarily think I wanted to walk a 1,000 miles through the wilderness on my own to figure myself out..but then again, there is a part of me that thinks it would be interesting…to say the least. Either way, this book was excellent; an easy read and I practically devoured it. Unbroken by Laura Hillenbrand – Another absolutely incredible book! Unbroken tells the (true) story of Louie Zamperini who was an Olympic runner and WWII pilot and prisoner of war. Zamperini was first stranded in the ocean for 47 days before finding land and being immediately captured and then subsequently imprisoned and tortured for over two years until the end of WWII in August of 1945. The true turnaround in Louie’s life would come after he returned home from the war but I won’t spoil that in case you decide to pick up a copy to read yourself. I can assure you – you will not regret reading this book! An amazing read – I’m so glad I read it! Neil Patrick Harris: Choose Your Own Autobiography by Neil Patrick Harris – I just started this book and I’m intrigued so far. I do love me some NPH, so I’m sure this will be a good read! American Horror Story: Freak Show – That’s right, I watch American Horror Story. I go back and forth with each season because I’m not one for too much horror but last season really intrigued me and this season has been no different. Everyone on this show is a powerhouse in their own right and as an ensemble cast, they really create an impressive show. This season I’m not so much intrigued by crazy Elsa Mars and her freaks as I am by the absolutely insane Dandy Mott – you guys, he has taken to bathing in his victim’s blood to “absorb” their energy and coerced a cop into being his sidekick. Things are about to get real. What will the freaks be up to next week? Christmas TV Specials – Seriously people; it was nothing but a Christmas special free for all! The two that are most splendid to me are two animated specials that have stood the test of time and still resonate and radiate Christmas magic and wonder to me: How the Grinch Stole Christmas and A Charlie Brown Christmas. We watched both of these together on Christmas night and they just made Christmas all that more special to me. 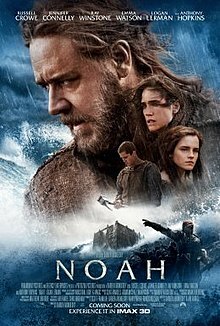 Noah – This is a catch-up from last month…I completely forgot that I finally got around to watching this. I wasn’t sure what it would be like…but I guess it wasn’t at all what I expected. It was…in a word: weird. The story of the flood was there and it was interesting but there were so many random additions that really made it strange. Giant rock-like people called Watchers, an extra man sneaking onto the ark, but what really got me was Noah thinking God wanted him to kill his newborn granddaughters. Nope. Emma Watson was the best part of this movie…and that’s really all I can say as a positive for it. Into the Woods – I completely loved this! I ventured into the theater on Monday afternoon with my sister and my Mom to see this one – and two out of the three of us loved it. My Mom thought it was “weird”, ha-ha! The story is adapted from a Steven Sondheim musical that takes some classic fairytales (Red Riding Hood, Cinderella, Rapunzel and Jack & the Beanstalk) and turn them a wee bit on their heads…with rousing musical numbers added in for good measure. I’ll be singing along to this soundtrack for the next few weeks to come, without a doubt. 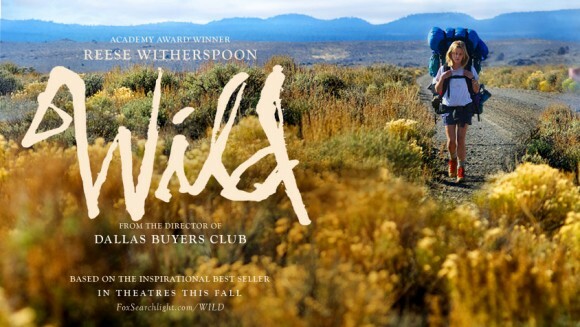 Wild – Yep…I read the book, so I went to see the movie and I really enjoyed it! The movie didn’t take too many liberties from the book which really pleased me since I thought the book was excellent. That is always the danger when you read a book and then go to see the movie it’s been turned into. However, with Reese Witherspoon in the lead there was quite a lot going for this film and she managed to carry the whole thing on her teeny little shoulders. I did feel slightly scandalized by how much I saw of Reese – but I guess that’s what an R rating will get ya, ha-ha! Excellent movie. of course, I do love almost anything with Reese in it. Christmas music – of course! The new car I got midway through the month had Sirius satellite radio installed in it and so I kept that station tuned to Holly for almost every ride I took in my car. I did take a brief break from the Holly radio station to listen to Idina Menzel’s Christmas album and it was also delightful! Into the Woods Soundtrack – what can I say? Loved the movie, loved the music! I had NO clue that Chris Pine could sing like that! Wow! I didn’t know quite a few people could sing as well as they could but Chris Pine, Anna Kendrick and Emily Blunt are all even more talented than I once thought! Some favorite songs are: Agony, On the Steps of the Palace and You Are Not Alone. Nothing in this category this month…. Christmas cookies! We make this every year as part of our family Christmas traditions and I look forward to them every year – and this year’s cookies were no exception. My little sister and I get very into the decorating process and try to create all manner of different designs on our cookies, from stockings labeled with our names to our very own snowmen – we created Olaf and Bumble this year, in cookie form. And they tasted delicious! Cheese dip – Okay, that may sound goofy but there is a delicious dip that my Mom makes every year at Christmas and Lindsey and I practically brawl over the leftovers. It is delicious and maybe one day I’ll even share the recipe here with you. Suffice it to say that the stuff is ah-mazing and I wish I had some right now…but Lindsey and I have already eaten it all. Oops. I’m not 100% sure what I’m looking forward to in January. I guess I’m just intrigued to see what this new year and my first full year in Virginia have in store for me. And maybe we’ll get some more snow in the new year too? Ha-ha!